Looking for some of the friendliest family dog breeds? Pet Insurance Australia takes a look into some of the popular breeds who make a wonderful choice for family life. There are a lot of different aspects when you look at the compatibility of dog breeds for life in a busy family home. Some breeds are perfectly suited to quiet homes, while others will thrive in a busy loud bustling environment. Understanding your chosen breeds history is the key to success with any human/dog relationship. It’s important to ignore the aesthetic appeal of the breed and do the research do ensure their history matches that of your family and home. Energetic, historically working dogs will not do well in homes that are not active. As too, lap dogs expecting to become the family jogging partner. It’s all about matching lifestyles to breeds. Size can also play a part in suitability for family life. Some large dogs can get into trouble by accidentally knocking over a small toddler, while small dogs can become easily injured by a young child. It’s important to understand that many dog breeds can become wonderful family companions, however socialisation from young age and training plays a very big role in growing any young pup into a well-rounded and happy family dog. When it comes to all breeds of dogs, training and socialisation is paramount particularly when it involves young children. For a dog, a very young child can be a maze of human emotions and very confusing body language. For a canine companion who has never seen this before, it can be very perplexing and downright scary. Dogs that are afraid of children or have had not exposure to little humans can show symptoms of fear or anxiety and even aggression. Even if you do not have children it’s important to socialise your puppy, as young as possible and as consistent as possible, around little people. Like with all breeds PIA advises to train your dog on how to correctly interact with children and teach your children how to safely play with a dog. Most dogs can be happily socialised around young children, however like all dog/children interactions, active supervision is paramount to keep everyone safe. Training is also vital with all puppies and dogs. Many dogs that appear on this list are not only great family pets they are also very easy to train making them perfectly suited to all households. Labrador – the loveable Labrador makes a wonderful family friend. They are easy to train, super friendly and suit an energetic and busy home. 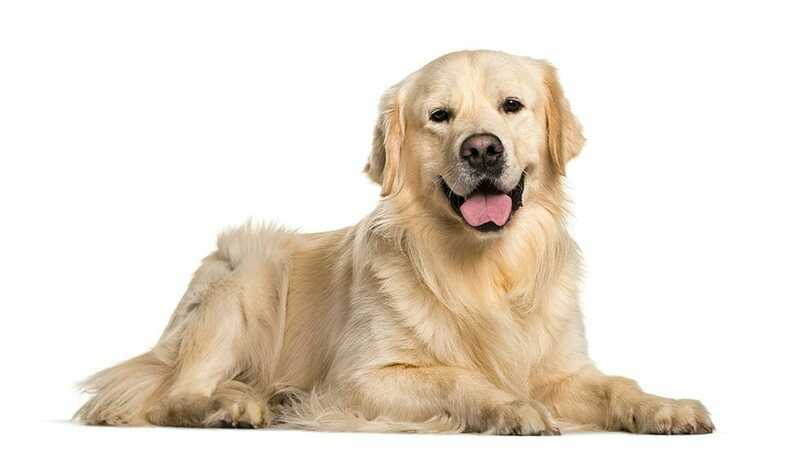 Golden Retriever –As one of the most popular family dogs around, the Golden Retriever has been enlightening the lives of pet owners for generations. These soft loveable dogs are easy to train and irresistible to love. Cavalier King Charles Spaniel– The king of the companions, this stunning breed is well-known for their love and affection with those who adore them. The Cavalier King Charles has an impressive history and well known for their sweet nature. Beagle – The Beagle is well-known for being a bundle of fun and laugher. This stunning wee breed is not only super-cute but also extremely loving and will quickly make friends with everybody they encounter. However, be warned, with such a powerful nose their desire to give chase to a scent can cause headaches for some owners. Boxer – The Boxer is a very popular medium sized dog. Their loyal and loving nature make them a great family pet for all types of households. They simply adore playing and thrive in busy environments. Originated from Germany, the Boxer belongs to the Working Dog group. Poodle – Whether it’s a Standard, Miniature or Toy variety of this popular breed, you can be sure the elegance and loving nature will be the same. As one of the regalest dogs around, the Poodles vast history and stunning looks have made them a favourite and adored breed in many homes. Hungarian Viszla –This sweet and loving breed makes a wonderful family companion. He’s regal, quick to learn and eager to please nature makes the Vizsla a world-renowned favourite dog breed. An athletic dog that makes the perfect jogging companion for any energetic home.